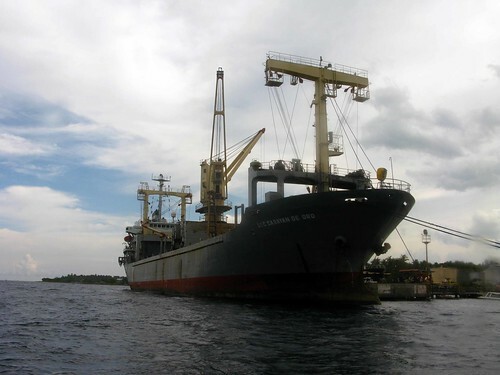 Dumaguete City is a charming town in Negros Oriental with friendly people and chillax lifestyle. It’s one of the most popular travel destination in the Philippines, not only for foreigners but locals as well. 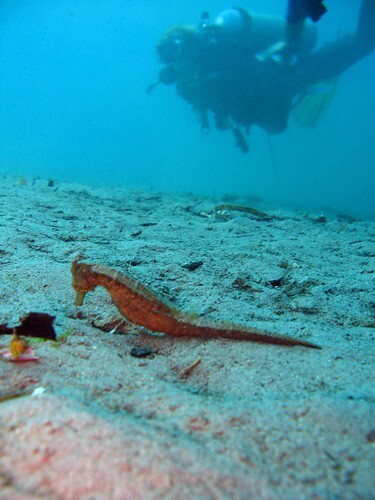 I may be biased but I think the most obvious reason is its rich marine life for scuba diving! And why not? The famous islands of Apo and Sumilon are just few paddles away from this quaint town. Straight from an overnight cook out/send-off party at my house, Vangie and I left for the airport (with no sleep, nada, rien, zero, really!) as the rest hit the sack at 5am. We met with Lu-ann, Isma and the rest of the diving crew at the airport. It was a short 1 hour flight and in no time (and still no sleep), we’re at the familiar Sibulan Airport hauling our huge luggages. 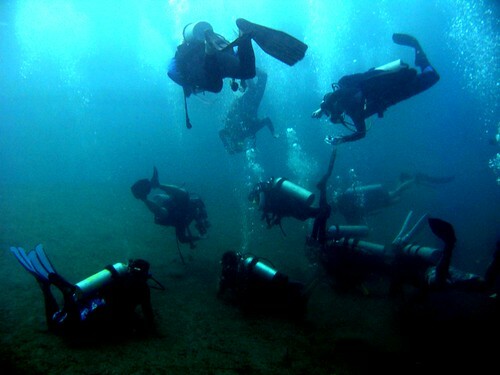 This weekend trip consists of 12 divers divided into 2 boats and a full-packed dive itinerary. Luckily all we had on the first day were relaxed dives (no strong current) because I didn’t get a blink of sleep when I back rolled into the water (not very smart, i know, so I swear it will never happen again, not intentionally), but it’s not saying that the sites were not spectacular. 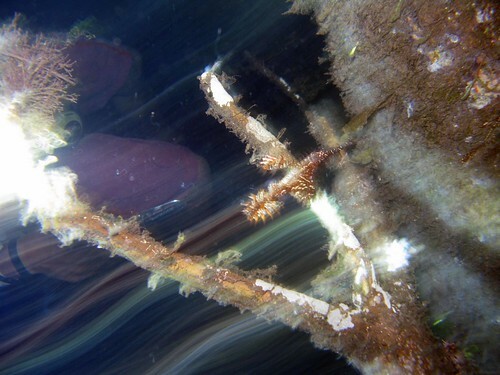 Because Dumaguete Coconut Mills (DuCoMi) Pier is the most awesome underwater scene I’ve ever seen!!! I have been describing it as an “Enchanted Forest” the whole weekend. The viz isn’t Apo Island clear, but when you go near, the burst of color is just stunning. I was hypnotized by the enchanting view that the usual shutter-bug me didn’t get to take so many photos. 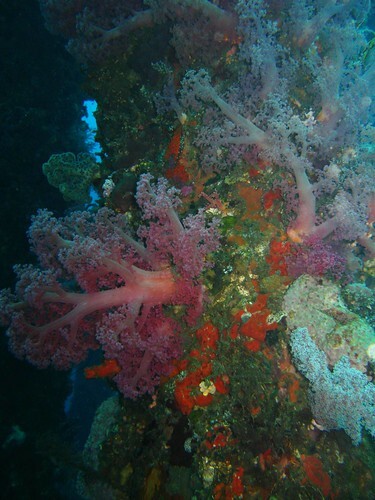 I kept going around and around the wooden piles covered with thick corals and various macro creatures . In fact, banggingay and Lu-ann said they were trying to get my attention for a good few minutes because the DM signaled that we have to move, so they finally have to fin towards me to give me a nudge. For the lack of more fitting adjectives, I will sum it up by borrowing good friend DJ’s – It’s Effin’ Fagilicious! I am this impressed. Our boat didn’t have torch, because we didn’t know there was going to be a night dive. 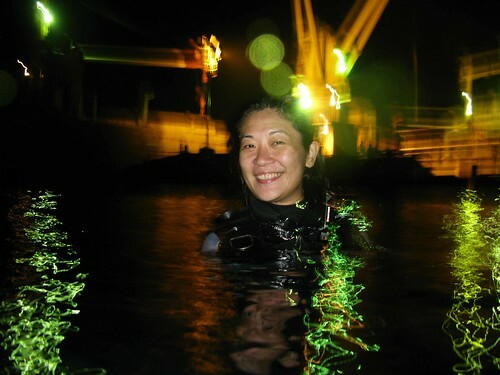 So with half heavy heart, I have resigned that there will be no 3rd dive, but when the other boat decided to quit due to travel fatigue and migraine, we suddenly have more torch than we needed!!! I was already awake for 46 hours at this time but was so highly charged and just couldn’t pass-up the chance to have another go at this pier. And so we did! (except for banggingay who opted to catch some shut eyes on the boat). 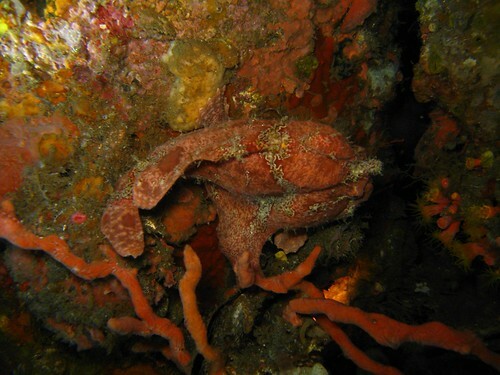 Frog Fish, but looks like internal organ to me! So I’m not really happy with my photos, but HERE they are anyway. Guess it only means I will have to one day come back and dive here again. Dive Fee: Php200/diver/dive. Dive Schedule by their admin office. haaay sis, i feel your pain. bwahahah! 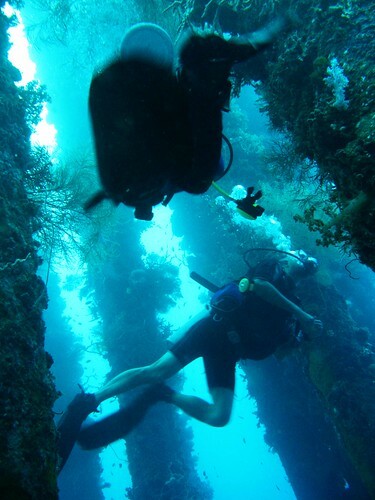 a return dive trip to dumaguete is there in the pipeline, yes? :-) i luv it, but i know i missed a lot too.